I am going to share with you about my experience of hair makeover at Daisuke Salon De Coiffure. This is Japanese hair salon run by Daisuka Suzuki and his wife Ai. 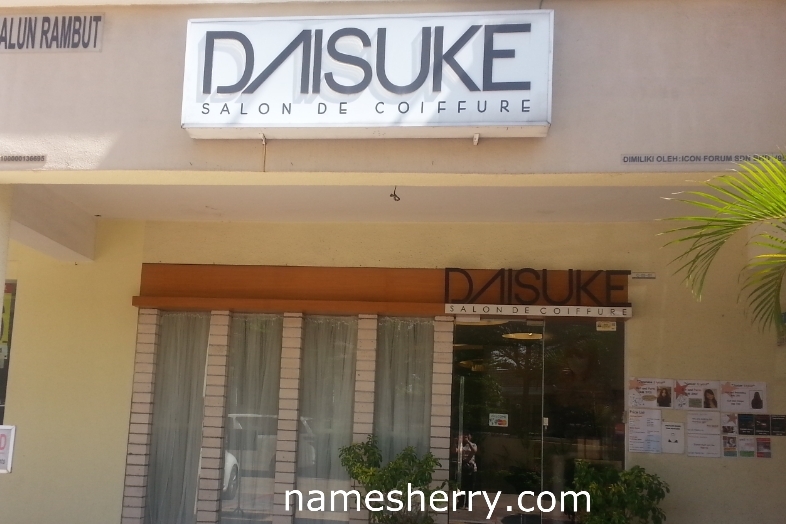 I used waze to help me find my way there to Daisuke Salon De Coiffure at 3 Two Square. As you know I have a long hair that is frizzy and I have been waiting for a hair makeover. I was there at 11 something in the morning then finished at about 4 pm. I was given a magazine to see the hair types that is suitable for me. As I still prefer to have my hair tie up. My hair length cut short is just nice to suit me. I was given CO2 (soda water) treatment before the hair cut. Soda Water Popular in Japan is now in Malaysia. Soda Water is recognised its effect stimulating blood circulation and hastening body metabolism in Japan. Apart from stimulating blood circulation, Tansen will wash proteins and lipids. 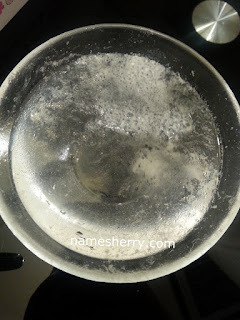 Its a natural way to treat skin and Hair without any chemicals. those who don't like scalp swell. those who has less volume. those who need hair treatment or scalp treatment. Soda water is deep cleansing that improves hair condition by removing chemical residue and natural substances like sweat and sebum from the scalp and hair which build-up over time. The treatment is recommended for fine, damaged, coloured. Look how dirty is this water after having the CO2 treatment, the floating is contained of oil and dirt from my scalp. 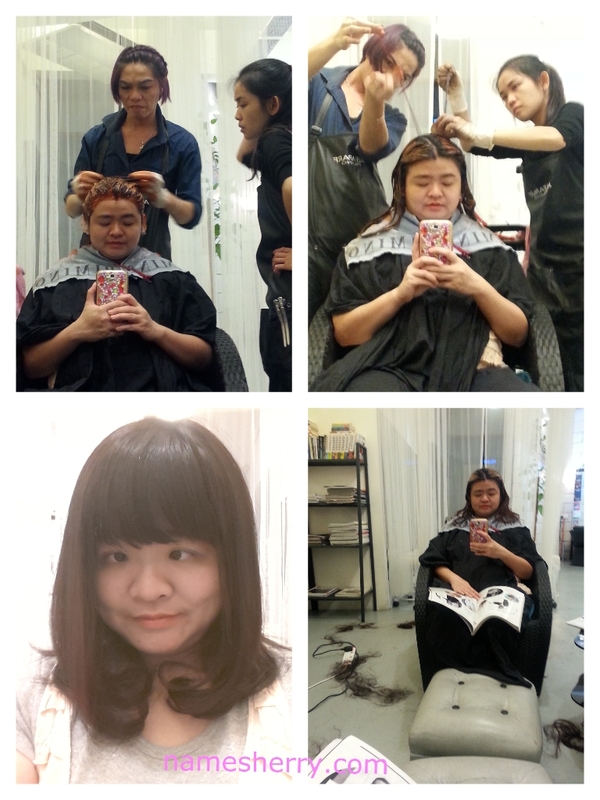 After the C02 treatment, I have my hair cut by Rene the hairstylist. Yeah I got my hair colour too, it's purple and red colour but more to red. Can you guess how many grey hair I have? teehee..
How you like my hair makeover? A selfie of me with Daisuke Suzuki. 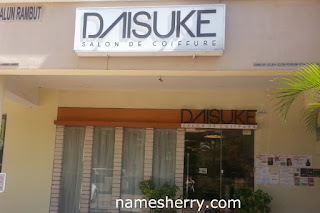 If you like to have your haircut, colour, straightening, you can check out Daisuke Salon De Coiffure as they have provide the hair services there. Good news for my blog readers. 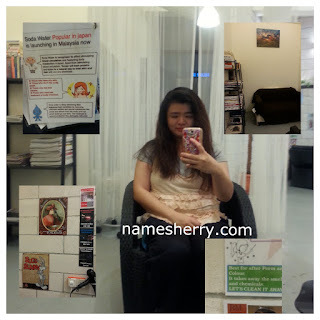 Mentioned my blog "nameSherry" and you'll enjoy 20% discount on hair services like haircut, colour, straightening only for 1st timer to the salon. thanks Miriam, yeah new hair styles for me. 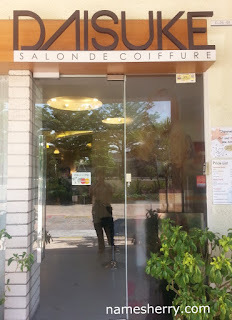 Heard good reviews about Daisuke and now very intrigue to go and try the saloon. 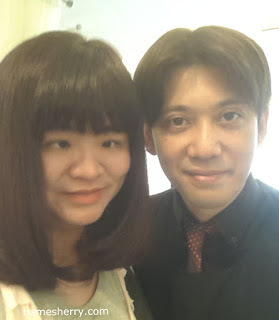 It is hard to find good hair stylist so I hope that Daisuke is the one. Love the new colour of your hair. Seems like a great place for my hair makeover. Sherry you look younger like this, very nice and keep it up. They really do a lovely job if you ask me. I havent found the time to go again yet!